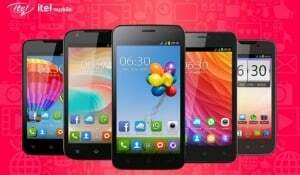 itel Mobile has announced an attractive bundle offer on its itel feature phones. Under this offering, users can get a guaranteed cashback of INR 900 on all of its feature phone offerings. The offer will be available for both new as well as existing Vodafone subscribers from 25th of August, 2017 onwards. itel Mobile and Vodafone come together to offer the most affordable Feature Phone 0 out of 5 based on 0 ratings. 0 user reviews.